Pirelli’s motorsport director Paul Hembery has defended his company’s tyres in the wake of the verbal attack from Sebastian Vettel following his late-race blowout in the Belgian GP at Spa. Vettel was close to the finish when his tyre blew on the Kemmel Straight on the final lap, and criticized the Italian firm's products after the race. But Hembery countered that it was Ferrari who had taken the gamble by electing to run a one-stop strategy, and that the tyre simply wore out. "It was at the end of wear-life," said Hembery. "Any tyre in the world, when it gets to the end of its wear-life, you're going to have a problem. "[He did] 28 laps, it was more we thought the strategy would be based on two or three stops, as the majority did, but they clearly felt they could make it work on the one stop. They obviously felt that was feasible. "Wear-life was indicated at around 40 laps, but it's an indication and race conditions can change that and some factors involved in racing mean that sometimes it's not a precise datum. Other teams were taking a different direction." Hembery insisted that Vettel's blowout was in no way related to Nico Rosberg's right-rear failure in FP2 on Friday. "Rosberg was an external cut; this was pure wear," he said. 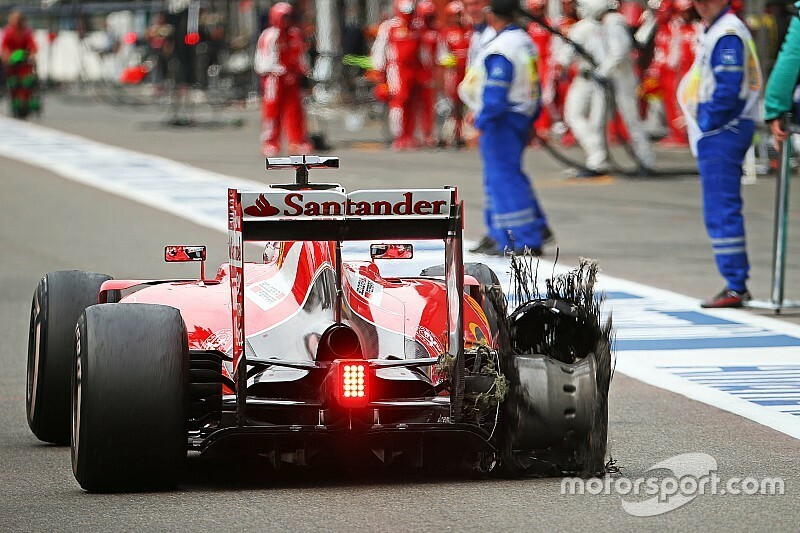 "The images show the carcass was still intact [on Vettel's blown tyre]. If the race was one lap less, he'd be on the podium and we'd be calling it a genius move – sometimes the margins are very fine. So it's tough." When asked what he thought of Vettel's comments, Hembery replied: "You've got to give him the benefit of doubt. "He's a driver, he's been out there and frustrated that he's only one lap away from getting a result. So I'm not going to criticise him for that."